When Stephen Tamplin decides to do something, he doesn’t do it by halves. “If you like cars, a lot of the time you really like cars and I've just always been a car person,” says David McAlpine of Orange LDV on how he got into the business of selling cars. 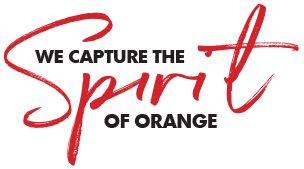 Over recent months we’ve regularly featured a great, local business in a series we call Proud Orange Businesses. When you do something like this, you do it to draw attention to other people’s businesses and it’s easy to overlook your own business. Dec 10 Our family – our life! Any business that considers their customers as their “family” must have a special relationship with them. Any business that sets out to be professional and friendly in their business dealings is going to have a much better chance of success than one that doesn’t. They are one of Orange’s most popular family owned businesses and they make the most delicious hams, bacon, salamis, sausages and more, so much so that you just can’t help but make a pig of yourself.